The English language confounds me. You can’t trust it. So many rules that are constantly broken. It’s capricious nature really became apparent while I teaching English in Japan. Why is the ‘gh’ sound in enough pronounced ‘F’ ? That was about lesson one and I still have no effing idea. It took me until lesson two to realise how much I truly despised the unpredictability of the English language and my inability to explain it. I was stumped with another English conundrum this week: why do we write cheesecake as one word, but chocolate cake as two? Luckily I had dip to console me! I made this cheesecake dip for the Big Sister’s end of year Kindy concert. It’s egg and nut free, so it ticks the allergy boxes and using coconut sugar makes it free of refined sugar. If you’re shopping for coconut sugar (and don’t want to pay through the nose at the big two), I suggest checking your local Asian food shop, I’m buying mine at a fraction of the cost. Add the sour cream, coconut sugar, milk and vanilla bean paste. Mix until smooth, scraping the sides as need be. Serve with fresh strawberries, apple slices or other bits of fruity goodness. The dip was a big hit with the mums at kindy and since then I’ve been thinking it would be even better with a bit of crunch. I reckon a strawberry dipped in cheesecake dip and then in crushed ginger nut biscuits would be the bomb. If you try it before I do, let me know please? Why isn’t phonetically spelled with an F? Why cheesecake and not cheese cake? 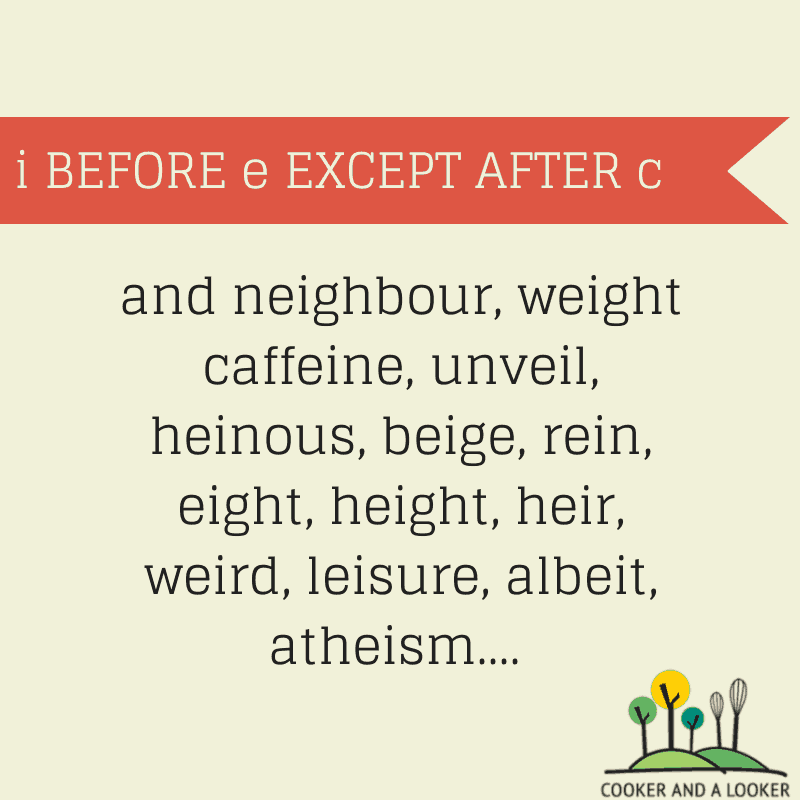 i before e except when you run a feisty heist on a weird beige foreign neighbour! Comment of the day Wombly Woo! I am making this for our playgroup kids Christmas party on Monday. I tested it out with the girls yesterday and you’re right it was THE BOMB!! Thanks for the tip about shopping in the Asian food shop too – never would have thought of that!! Oh and Master J’s spelling words this week were great = too, to, two and bear, bare etc etc – very confusing!! Oh god. Ginger nut biscuits are one of my WEAKNESSES! ALONG WITH CHEESECAKE! I love it. It’s so easy Sarah. Think this is my new party plate. I think you underestimate yourself Em. I reckon you could rock this easy! I think that dip sounds divine, and I like the idea of a bit of crunch to give “texture” as they always saying on the cooking shows! 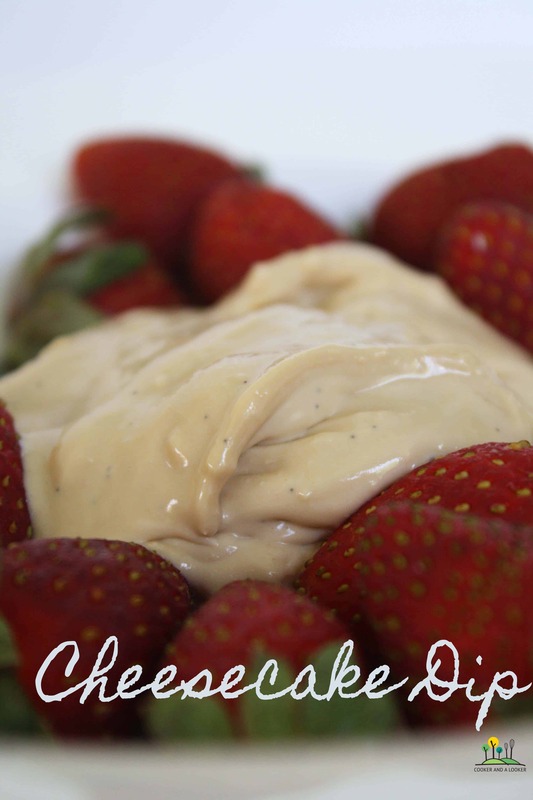 First of all, before we get to spelling… can I just say – CHEESECAKE DIP!!!!! Scream!!!! What a bloody marvellous idea – you are a dessert genius and I need to make some straight away. Now then… funny you should ask about spelling… I did Old and Mediaeval English at uni and did a whole paper in orthography – the history of spelling… now where are those uni notes?? But it’s basically all down to the fact that printing on presses happened early in England and sounds changed after spelling conventions had been laid down… rough tho they were. Printing presses got to Italy later and the language is much more phonetic. So basically the -gh – in say light and bright used to be pronounced (in Scotland people often still say it as ‘licht, bricht) but in proper English that sound changed, and the i was lengthened. Please do not hesitate to ask any questions about Latin and Greek – ah the benefits of a classical education! This is my favourite comment of all time Seana. Not for a moment did I think someone would be able to answer my gh question! I love Latin – I think that comes from learning lots of species names at uni.